Optimizely helps companies better understand and serve their customers. Every touchpoint with a customer is an opportunity to win that customer’s heart, make them great, and make them better. By experimenting everywhere, businesses have a powerful strategy for reorienting towards their customer as the true north, striving to iterate quickly, make improvements, and deliver customer experiences that are delightful and fuel growth. 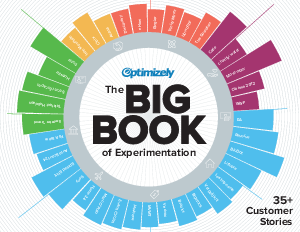 Optimizely enables you to experiment everywhere—both across the organization and across every interaction you have with a customer. In a company that experiments everywhere, everyone from Marketing to Product Management, Design, Engineering, and the C-Suite can inform their decisions with experiments that engage customers for their reactions.